The Pacific Northwest Clean Water Association (PNCWA) is an association of water environment professionals who support student education and career-building efforts in the stormwater and wastewater fields. Our rivers and wetlands are healthier than they’ve been in generations, but more work is needed to protect our watersheds and community livability. 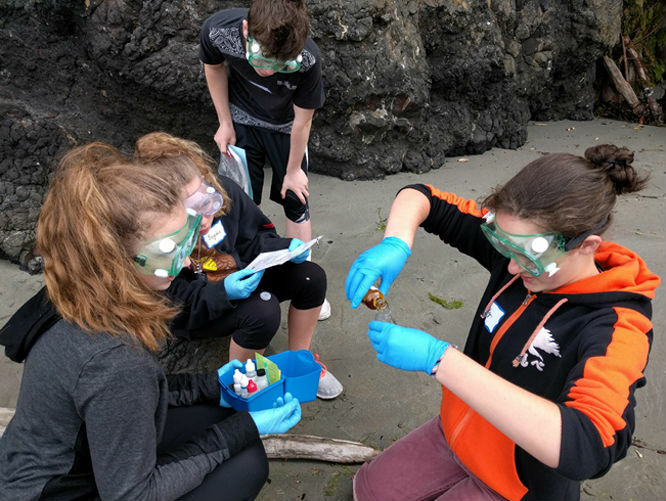 The Adopt-A-School program was established to support water science education, involvement and restoration activities by 4th-12th grade students in Oregon, Washington and Idaho who are working toward clean water education goals. The following evaluation criteria and process ensure tracking and accountability for funds allocated to schools, promote fair distribution of funds, and leverage PNCWA’s public education goals. A PNCWA review committee will determine the level of funding to be awarded.Curriculum/project is for 4th – 12th grade students during the 2019 calendar year. Curriculum/project must include a wastewater treatment facility tour and/or a presentation from a local wastewater/stormwater agency. PNCWA will provide contact information for your local wastewater/stormwater agency if unknown. A check payable to the school will be mailed to the contact provided. The school agrees to use the funds only as proposed unless otherwise approved. A summary of fund use (how the money was spent) and digital photos must be received by December 1, 2018. Summaries received by October 15th will be included in the Adopt-a-School annual report. 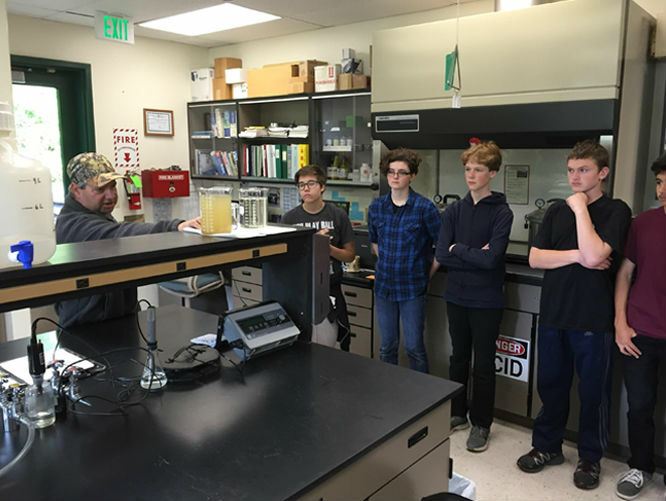 Bus funding helps connect students to their local wastewater treatment process through facility tours. Funds are available for 4th–12th grade students in Oregon, Washington and Idaho. If you are only requesting transportation funds, you can fill out this simple bus fund form. The average funding level is $500 per application/applicant, and will vary depending on the number of applicants and funding level request. Total program fund available is $5000. Deadline: Applications for the 2018 calendar year must be submitted by 2:00 pm PST on December 8, 2017. Award recipients will be notified by December 22, 2017. Funds will be distributed by January 19, 2018. The Chehalis Basin Education Consortium (CBEC), the Chehalis River Basin Land Trust (CRBLT) and the City of Centralia are offering Chehalis River Discovery field studies and tours of the City of Centralia’s Wastewater Treatment Plant. The field study will consist of: a tour for students of the City of Centralia’s wastewater treatment plant and a walk along the Discovery Trail to “discover the importance of healthy riparian zones for salmon”. We’ll provide copies of “A Guide to the Chehalis River Discovery Trail” for each student to record their field experiences. Help students enhance their appreciation and understanding of the Chehalis Watershed and to develop respect for the important role that healthy riparian zones and the Chehalis River play in the basin. To observe and learn about the salmon restoration work in progress. Enable students to use the outdoors as a research and educational learning environment. Help students begin to acquire the skills to identify and resolve local community and environmental problems. Funding is made possible through a grant from the Pacific Northwest Clean Water Association.